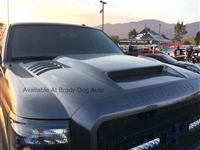 BrodyDogAuto.com Providing quality automotive accessories including hood scoops, hoods, bed covers, spoilers, exhaust, air intakes, vacuums, step bars and more for your vehicle. Call 716-785-3714 for assistance. Home > Search for "rk sport"
© 2014 BrodyDogAuto.com. All Rights Reserved. Powered with Volusion shopping cart software.